While the movie never completely clicked for me, it’s very well made and managed to keep my interest consistently over its fairly long run time. The performances are good across the board. I would single out Goldberg (in her first major film appearance) and Winfrey (in her first movie period) in particular especially considering they never reached these heights the rest of their careers in terms of dramatic acting. Both excel playing the whole spectrum of their characters as they progress over the course of the film, and Goldberg is remarkably understated compared to what she did the rest of her career. Everything looks and sounds great, and I’m surprised Spielberg wasn’t nominated considering pretty much everybody else on the project was, but at this point he really was seen as the big summer blockbuster guy and not a “serious” filmmaker. With that said, some of the characters lack depth, including all male and/or white characters. This is a movie very much focused on black women, which is nice considering how rare that is in a big studio movie, but everybody outside of the three main female roles is pretty flat (whether that’s an issue from the source material or from the significantly altered script adaption I’m not sure). Having Spielberg direct the movie is certainly a curious choice considering he was a white man almost solely known for action/adventure movies at the time, and I think a different director might have taken it in a different and potentially better direction than the movie we got. With that said, a period piece about black women in the South would have been a very hard sell for a major studio coming from anyone who didn’t have the kind of cache as Spielberg-ultimately, an imperfect but good movie is better than no movie at all. This is movie that was very bold when it came out 30 years ago-few at that time featured a well-fleshed out and sympathetic portrayal of a gay man; in the decades since, that critical aspect has become less novel, but there’s still enough meat to the film that it’s still a solid film. The movie focuses on the evolving and complementary relationship between Hurt (playing a gay man who is an escapist in many aspects of his life, winning an Oscar for his performance that I’m not totally sure holds up in retrospect) and Julia (who I’m surprised didn’t get a nomination for playing the hardened political prisoner), with the characters’ personalities rubbing off on each other, ultimately leaving them both more “complete” and stronger people. The movie makes extensive use of a fictional Nazi romance propaganda “film within a film” that does serve the purpose of fleshing out Hurt’s character, and while I did enjoy how they made it look like an early 30s technicolor film, I might have trimmed down some and replaced it with more direct dialogue between the two mains. I’m not surprised at some of the awards it won, as the score is excellent and the cinematography does a great job of capturing the beauty of Sub-Saharan Africa; on the other hand though, this is an extremely dull, long and slooooooow movie that lacks a good narrative flow. The performances are fine I guess, but there’s not a ton to work with based on these uninteresting characters and the decent chemistry between the leads isn’t close to being enough to carry the movie; heck, while this is basically a romance movie, even that part doesn’t kick in until about an hour and fifteen minutes in which emphasizes just how little happens considering it’s 160 minutes long. There’s also the issue of Streep’s character being a plantation owner in Africa-an unavoidable and central aspect of the narrative considering the movie is based on a real woman’s autobiography, but still kind of a constant source of audience discomfort nagging at the back of your head, as much as the film bends over backwards to portray her as a “nice” plantation owner. Overall, it has a lot of the elements that are “Oscar Baity” (a long movie filmed in an exotic locale, starring two of the biggest names in Hollywood and directed by a big name), so I guess I shouldn’t be surprised it won Best Picture, but beyond it looking and sounding pretty, there’s not much else there to hold your interest. Perfectly entertaining mobster movie with good characters and black humor. The fact that most of the characters are morally bankrupt leads to plenty backstabbing and questions about who’s really on whose side which the plot forward nicely and keeps things interesting throughout. The cast up and down is really good, especially Huston who earns her Oscar as the vindictive, jilted ex-fiance of Nicholson’s character and Hickey, who is the direct inspiration for the Don in the Simpson’s episode “Homer Goes to College.” The only negative from the cast might be Turner, who never fully clicks as Nicholson’s love interest, and doesn’t do a great job of convincing the audience that we shouldn’t be suspicious of her at all times. There’s nothing groundbreaking here, but its characters make it consistently entertaining throughout and worth a watch. I’m a little surprised at the nomination, not because it isn’t good, but because it’s a pretty standard thriller stylistically; then again, Ford couldn’t be stopped around this time-The Fugitive got nominated a few years later, another similar film that if it starred, say, Tom Cruise, probably doesn’t get nominated. Ford in his prime is always terrific as the protagonist with some rough edges who is still eminently likeable-you never feel like he’s playing a character, it just feels like Harrison Ford is playing an extension of himself, which is a huge compliment. The movie is very tightly written, the theme of violence vs. pacificism from the perspective of Ford’s character is well expressed and most everything works well from a character and story standpoint, and the ending was the right choice in my opinion. The one negative I think is that the witness of the title himself. He’s the focus of the first 30 minutes or so, then is almost totally missing from the rest of the film-he just feels like a plot device to get Ford to Amish country and to meet Kelly McGillis. You could have written out the boy and made McGillis (and not her son) the witness and it wouldn’t have impacted the story all that much. It’s a good but not great thriller with Ford being Ford in his prime, and Kelly McGillis doing the best work of her career. I could talk about many great films in this space-as you can see from the list of other notables, we have one of the most brutal and gut-wrenching war films ever made, one of the finest documentaries ever made, Kurosawa’s last great movie, and one of the best political satires of the decade. Instead, I’m going to talk about Rocky IV, the reason being is that it’s one of the only examples of a film franchise and a lead character devolve into something completely unrecognizable from its roots and this somehow made it equally enjoyable as the original film, but in a totally different way; heck, it’s actually the highest grossing film in the whole series if you can believe it. Rocky IV not a great film, heck it’s objectively a terrible film. It’s the dumbest of the Rocky movies by a mile, with Rocky ending the Cold War by beating a roided up guy a whole foot taller than him, and the “Happy Birthday Paulie” robot, which somehow exists in a world where the Cold War is still a thing (https://www.youtube.com/watch?v=ncySiTOMAHc for those not familiar with it). With all that said, it’s an incredibly entertaining movie and honestly the one in the franchise I’ve probably watched the most times (along with Rocky III which I will defend as a genuinely good movie). It cuts out all the annoying “character development” and “semi-plausible storyline” parts from the previous movies, and instead boils down the Rocky movies to the purest, most fan-pleasing elements of the sequels in a very streamlined 90 minutes: great montages and training sequences, a memorable opponent who outclasses Rocky in every way on paper, and a great boxing match at the end of the film that takes place in a universe blocking punches is illegal in boxing. One of my favorite pure entertainment films of the 1980s. A very unremarkable year overall with the Best Picture winner having great visuals and audio, but boring otherwise and deservedly taking its place as one of the weakest BP winners ever. Nothing truly stuck out to me, but of the nominees, The Color Purple was the one with the most substance, even if it was still flawed and I wouldn’t call it a great film. That it went 0/11 at the Oscars was very conspicuous that night, and still is today (although there have certainly been worse snubs in the same vein, just wait four years). 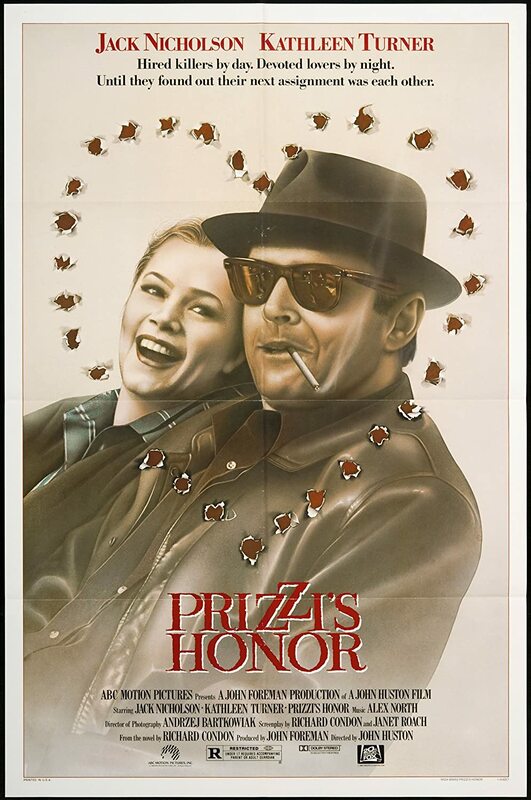 For 1986: The first Best Picture nominee that was directed by a woman; A movie filmed in the lead actress’ apartment; Roland Jaffe went 2 for his first 2 films in terms of BP nominations with this religious film; Charlie Sheen followed in his father’s footsteps by co-starting and narrating this Vietnam War movie; and the first feature film for it’s star, Helena Bonham Carter.